The most-anticipated holiday gifting season is fast-approaching and you could be wondering about the best gift ideas for pilots and aviation lovers. Understandably, coming up with amazing gifts for pilots and aviation aficionados isn’t a cakewalk. 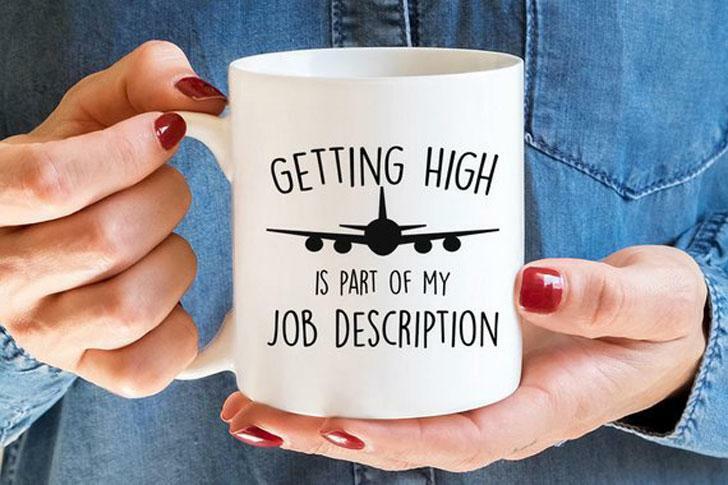 You might be in a dilemma of whether to pick fun gifts that make them laugh or valuable presents that are useful in the cockpit. Well, we’ve just concluded a consultative meeting with the Air Navigation Pro team and have compiled a comprehensive holiday gift guide for pilots and aviation lovers. If you plan to buy something for your family member, spouse, lover, coworker, friend or even your boss, you’ve been fully covered. The below guide helps you choose the best holiday gifts for pilots and aviation lovers. A video camera is a gadget designed to capture, record and store moving images. Considering that the modern world is dominated by social media platforms, a video camera allows a pilot to record videos freely from one place to another and publish amazing stories worth sharing. Whereas there are mobile phones that can equally record videos, pilots need a video camera because it can be effortlessly mounted. There are pilots who already own one or more video recording devices. Well, if the pilot you intend to gift already possesses a video camera, you can get him an accessory that matches his or her use, such as a Suction Cup Mount. Garmin boasts an array of gorgeous aviation products that provide a bundle of joy for pilots and aviation enthusiasts. If you wish to buy a watch for your aviator friend, then Garmin D2 Bravo Aviation Watch is just a great choice. It provides much more than an aviation slide rule. The watch comprises an in-built GPS, TAFs, METARs, and can control the Virb action camera. Also, it comes in two versions including standard and Titanium. The two versions offer fitness functions like heart rate and activity tracking. Pilots often borrow professional noise-cancelling headsets from their airfields or airports because they are expensive. Getting your beloved aviator a bespoke pilot headset would show them that you truly care. And, if he already has one, he will use your present as a spare in the event of an emergency. This stylish Leather Aviation Airplane Belt gives your favourite aviator an opportunity to cherish his adoration for all things aviation. It is made from genuine leather and offers a sophisticated look and durability. It also features a wooden buckle alongside aeroplane cutouts that add elegance and visual appeal. This classy belt provides a unique way to showcase his personal flair and individual style. A pilot assistant mobile app is truly essential in navigation. It is an essential backup tool when it comes to emergencies or when planning flights upfront. This Air Navigation Pro is a GPS-enabled real-time navigation app available in Android, iOS, and Mac. It is loaded with numerous features such as alerts that provide situational awareness for smart response to any circumstance. The waypoint search function provides freedom to select which way to go. The app also features many updated approach charts from across the globe.